Suppliers are understandably concerned with retailer policies such as this. But, rather than using this as just more fodder to feed supplier angst over chargeback fines, suppliers can use this as an opportunity for differentiation. 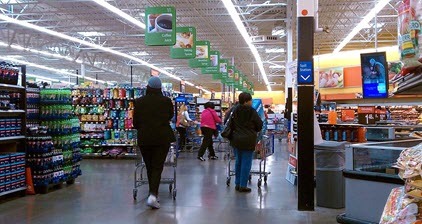 Walmart clearly sees a huge financial advantage to on time in full in terms of operating efficiency. Suppliers who step up to meet the new KPIs can gain favored supplier status and earn more market share. Items that are late or missing during a one-month period will incur a fine of 3 percent of their value. Despite any uproar about the new on time in full policy, Walmart – just like other large retailers with similar policies – stands to benefit greatly from OTIF. Why? Because their set performance metrics are going to improve. Why? Because Walmart has mandated that they must improve. It really is that simple. Big retailers hold all the cards in these situations and suppliers must meet the requirements or risk losing the business. For suppliers, this can be a tremendous opportunity. When a big retailer throws down the gauntlet like this, not every supplier will rise to the challenge. That opens the door for those who can. For Walmart suppliers, the obvious starting point for assessing compliance with the stricter requirements is where you are at today. Once you understand your current performance versus the future standard, it’s not hard to estimate the potential cost to your company (3 percent of product value) for non-compliance. If that number looks scary, well, you’ve got some work to do. But you’re not alone. Many 3PLs specialize in retail logistics, working with CPG companies and ship daily to Walmart, Target, CVS and large grocery retailers. Based on this experience, they are well-versed in routing guide compliance and helping small to mid-sized supplier meet retailer demands. Need help in responding to this latest operational requirement from Walmart? Contact KANE today to discuss how you can turn this requirement into an opportunity.